In what may mark the beginning of a historic shift, Australia appears ready to bypass the U.S. dollar as the world’s reserve currency and allow for the direct convertibility of the Australian dollar into the Chinese yuan. “Reserve currency” is the term used to describe a currency that many governments hold significant amounts of in foreign exchange reserves. 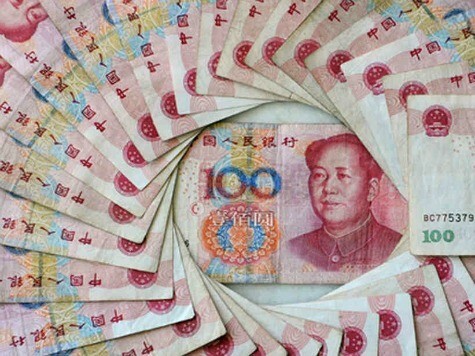 By directly converting its currency into Chinese currency, Australia’s businesses will be able to cut costs and the inconvenience of changing foreign-currency earnings into dollars, thereby encouraging and accelerating even more business with China. In a Wall Street Journal article last month titled “Why the Dollar’s Reign Is Near An End,” University of California, Berkeley economics professor Barry Eichengreen said the erosion of the U.S. dollar as the world’s reserve currency will make life easier for European and Chinese banks and companies. On Monday, China’s currency, the yuan, hit a record high against the U.S. dollar.